All Roku TVs, streaming sticks, and boxes come with a wireless remote control. Some Roku remotes use IR (Infrared Light) and require line-of-sight to work with a Roku, but don't require pairing to work. Standard and Enhanced point anywhere remotes may use RF (radio frequency), Bluetooth, or Wi-Fi Direct (aka Wireless Direct) and don't need line-of-sight. However, they must be paired with a Roku device before they can be used. If your Roku device comes with an IR remote, insert the batteries (either AA or AAA), then point and push the buttons you need to use. No additional pairing is required. If your smartphone has a camera, point your remote at the camera and press some of the buttons on the remote, if you see flashing light coming from the remote on your smartphone screen, your remote should be working. You can also try this with a digital camera or camcorder with an LCD viewfinder/screen. Check if the remote sensor on your Roku device is dirty or order a new remote. If your old or new remote doesn't work, it may be that the remote control sensor on your Roku device is defective. Point Anywhere Standard and Enhanced Remotes are compatible with the Roku Streaming Stick and Streaming Stick+, as well as the Roku 2 (4210), 3, 4, Premiere+, and Ultra. For Roku TVs, the type of remote varies by brand and/or model. Power and on/off button for a TV. Two gaming control buttons (A and B). Onboard headphone jack for private listening. Hold or place the remote close to your device. The Roku TV or player will detect the remote and execute pairing automatically. Disconnect your Roku device from power and reconnect it after about 5 seconds. When the home menu appears on your TV screen, insert the batteries into your remote, but leave the battery compartment open. Locate the pairing button in the battery compartment of the remote. Shown below are the pairing button and indicator light on a standard point anywhere remote. Pairing button and indicator light on a standard point anywhere remote. Shown below are the pairing button and indicator light on an enhanced remote. Pairing button and indicator light on an enhanced remote. If there is no pairing button present, you have a standard IR Remote. Press and hold the pairing button for 3 seconds or until you see the pairing light on the remote begin to flash. If the indicator light does not flash, try again. If the light still doesn't flash, try a different set of batteries. Wait 30 seconds while the Roku device executes the remote pairing process. You should see a message on your TV stating the pairing has been completed. 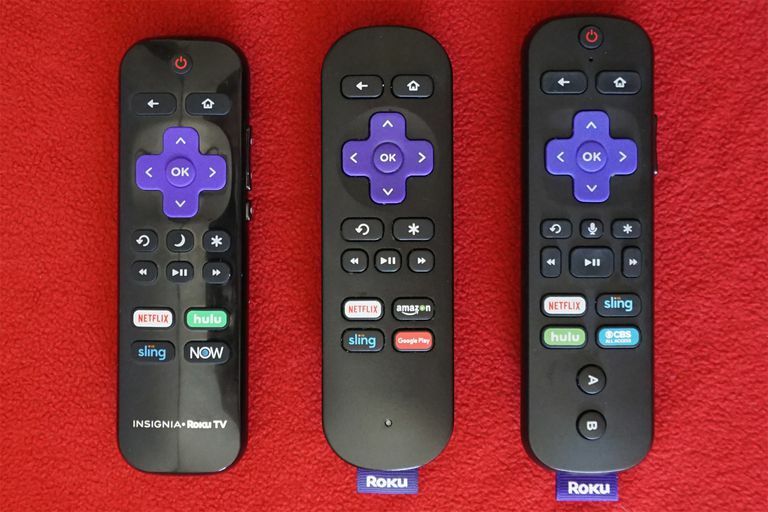 You can add a new remote or add a second remote to control the same Roku TV or player. This is convenient if you have gaming remotes as it will accommodate two-person gameplay on compatible games. In the Home Menu, scroll down to Settings on the category menu on the left side of the screen. Once at Settings, select Remote. The next screen will show you the remote that's currently paired. The next page will provide you with the instructions you need to pair your new remote. If the pairing doesn't take on the first attempt, repeat the steps. If you want to unpair a Roku remote, simultaneously press and hold the Home, Back, and Pairing buttons on the remote for 3-5 seconds. The indicator light should blink 3 times. You can confirm unpairing by pressing some of the remote control buttons to see if your Roku TV or player responds. If it doesn't, it has been unpaired. Set up Your Roku Quickly and Easily!